New South Lake Tahoe Vacation Home – Dog Friendly! RnR Vacation rentals is at it again, adding yet another home to their collection of vacation rentals. We are proud to announce Bel Aire Beuaty – this home is exactly as the name says, a true beauty. What’s more, this home is dog friendly! Many of our vacation rentals allow pets, making it easy for the whole family to head up the hill. Bel Aire Beauty is the perfect home for family or friends seeking an elegant yet cozy getaway, with easy access to either Heavenly or Sierra ski resorts, a 15 minute drive to the casinos at Stateline and a short walk to the river. Gated and on a flat lot there plenty of distance between neighbors providing a private living experience. The large redwood deck offers incredible views of Angora Peak through towering pine tops. The interior features custom cabinetry with a blend of hand scraped exotic hardwoods, wood encased windows and an assortment of slab granite and natural stone flooring. There is an image of Lake Tahoe inlaid in stone at the entry way to boot. This home provides comfortable sleeping and dining for up to 10 adults and children. With quality, new construction, this beautiful 4 bedroom home has a large open living area, with kitchen and dining in one great room. The amazing master bedroom has a sliding glass door and deck access, gas fireplace, and luxurious private bathroom with separate shower and jacuzzi tub. The second bedroom upstairs has two twins plus bathroom access across the hall. There are two bedrooms with queen beds and full bath downstairs, along with TV viewing room and sofa-sleeper. The main living is upstairs, with a great room and 2 additional bedrooms. With easy access and close proximity to activities, your South Lake Tahoe Adventure possibilities are endless. The bike trail is just a stone’s throw from the home, perfect for the trained cyclist or leisurely cruiser. You can walk to the river to fish, explore or even raft to Lake Tahoe. You will love how close you are to either Heavenly Valley or Sierra ski areas, just 7 miles to Heavenly and 11 Miles to Sierra. Plus, the beautiful Washoe Meadows State Park is less than a mile away for hiking, biking, bird watching and more. If you like to golf, you can walk to Lake Tahoe Golf for a round of 18 on their beautifully maintained course. Snow Mobiles, ATVs, Fly Fishing Adventures, and more are all within a mile of the home. Book your stay at Bel Aire Beauty Today! Are you a cycling enthusiast or just enjoy the excitment of a race? The you are in luck! In May, 2015 the AMGEN tour will head to South Lake Tahoe, where two stages are hosted. The Amgen Tour of California is a Tour de France-style cycling road race created and presented by AEG that challenges the world’s top professional cycling teams to compete along a demanding course that traverses hundreds of miles of California’s iconic highways, byways and coastlines each spring. Now, you can catch the women’s race in beautiful South Lake Tahoe. 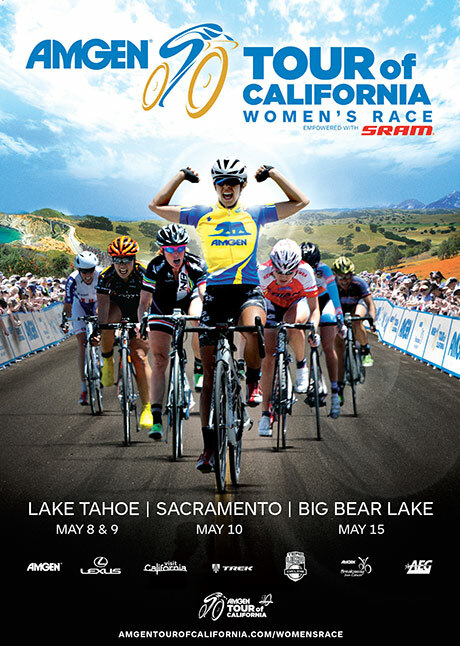 On May 8th the first ever Amgen Tour of California women’s UCI stage race will kick off in spectacular fashion. The 74-mile stage one, starts and ends at the Heavenly Mountain Resort high above South Lake Tahoe. Tahoe and provides a bit of everything — twisting descents, fast straights, two challenging Queen of the Mountains (riders completing the climbs in the lowest cumulative time) and stunning views. The debut as part of the 10th anniversary edition Amgen Tour of California and the first three-day women’s stage race of its kind begins at 10 a.m. in South Lake Tahoe. Are you travelling up to view or participate in the AMGEN tour? 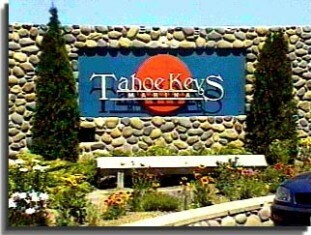 View our selection of fabulous homes in South Lake Tahoe just minutes from the start and finish line! For more info on the AMGEN tour in South Lake Tahoe visit the site, HERE. It’s been in talks for quite some time now and implementing potential new rules on South Lake Tahoe Vacation rentals is closer to becoming a reality. While nothing has been set in place, the City has decided to move forward with a few new guidelines that will help reduce vacation rental – related complaints. So what does this mean for you as a vacationer and how will this impact the homes you rent from RnR Vacation Rentals? As of right now, the impact on RnR and guests is minimal. Once the rules and changes have been defined, RnR will implement these changes to their policies and abide all city guidelines. While it’s still too early for us to provide the exact details on the new rules, a city meeting that took place two nights ago, discussed potential changes and additions. Following the current RnR guidelines and rules will protect you and other guests from potential complaints and violations. Stick to the Numbers. Do not exceed number of guests or vehicles parked at the home, these are rules outlined by the city for vacation rentals, not us at RnR. Following this will prevent any chance of violation or infraction from the city of South Lake Tahoe. Be Respectful of Residents. All of our homes are in residential areas with year round residents. Please, do not disturb the neighbors and observe the 10:00 PM quiet time as outlined by the city of South Lake Tahoe. Park Properly. Observe parking restrictions in winter months to avoid towing or being hit by plows or cars. Winter Public Street Parking 10/15 – 4/15 or when more than 3 inches of show has accumulated. Cars are subject to citation and/or tow are those parked in the public street right-of-way. Take Out the Trash. It’s not news that there are bears in South Lake Tahoe, but it’s bad news bears when they get into your trash. Or worse, sneak into the garage or on the porch to find a snack. Keep all garbage in containers located in the shed, bear box, or garage. And, Just an FYI: Applicable Laws as stated by the City of South Lake Tahoe: Occupant shall fully comply with all local, state, and federal laws while staying at the Property, including, without limitation, all city ordinances. Occupant acknowledges that it is Occupant’s responsibility to know, understand, and abide by all such laws and regulations. 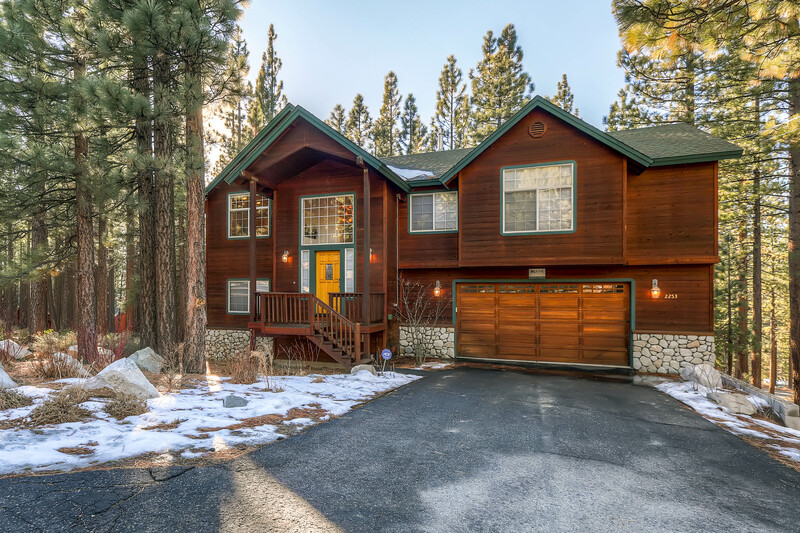 Our extensive South Lake Tahoe Vacation Rental offering has something for everyone and at RnR Vacation Rentals we are proud to announce the addition of another fabulous South Lake Tahoe Vacation rental. Introducing Heavenly Solitude. This contemporary 2500 sq ft is of the highest craftsmanship. Your family will love this gorgeous home. The open floor plan is ideal for entertaining the entire crew and is welcoming to large families with or withour children. The four bedrooms and a fun room make this home comfortable for up to 10 people. Beautiful tile & hardwood floors, alder cabinets, granite counter tops, and classic Tahoe cedar sided home really makes you feel at home, yet has the feel of a true Tahoe cabin. This home provides comfortable sleeping and dining for up to 10 adults and children (6 maximum if single adults). The Great room features open living with vaulted ceilings, built in alder entertainment center, built in sound system and an inviting fireplace to relax by.The expansive living area awaits with forest and mountain views that go on for miles. A gourmet kitchen for the Chef(s) in your group with dining for up to 10. The large outdoor deck overlooks forested lands where you can enjoy soaking in the hot tub or barbecuing. The family room is the perfect place for the kids to play or just a retreat when you want to get away. The large master bedroom with king size bed is on this floor. If you are responsible for booking the reservation, you deserve this room! Lower Level, Down a helf flight of stairs from the main entry you will find three bedroom and another family room for privacy (or an extra sleeping area). Bedrooms one and two each have a queen size bed with plenty of room and Bedroom three has a twin over double bunk. For small children, their is a pack ‘n play, booster seat, Lego play table, and roadway play mat. The bunk room with a single over double bed and pull out trundle is perfect for keeping the kids comfortable at night. This home is surrounded by forest and with two adjacent lots committed to conservancy, you will feel like you are in a secluded mountain retreat. From the front or back, you have easy access to miles of trails for hiking, biking, or snow shoeing. You’re just two blocks to Trout Creek where you can explore the shallows or fish for, you guessed it, Trout. To hit the slopes, you are a short 4 miles to Heavenly Resort and 12 miles to Sierra at Tahoe Lake Tahoe. water sports your thing? Rent an SUP or Kayak at Lakeview Commons just 4 miles away or explore the calm of Emerald Bay or the crushing roar of the waterfalls feeding it. For the Night lovers, Harrah’s, Harvey’s, Mont Bleu and now the Hard Rock Casino all await you just 4.6 miles away. Try your luck at the game tables or slots or catch a great music act. South Lake Tahoe is a great draw for some of the biggest names in entertainment. RnR Vacation Rentals is proud to announce the addition of another fabulous South Lake Tahoe Vacation rental to their portfolio of superb homes. Introducing RnR’s, Heavenly Valley Estate. This is an immaculate custom built property with skilled workmanship throughout the entire home. Nothing has been overlooked in this marvelous design, which boasts beautiful surroundings inside and out. With plenty of room for your entire family to get lost on their own, this home also has fabulous common areas where the family can reconnect. 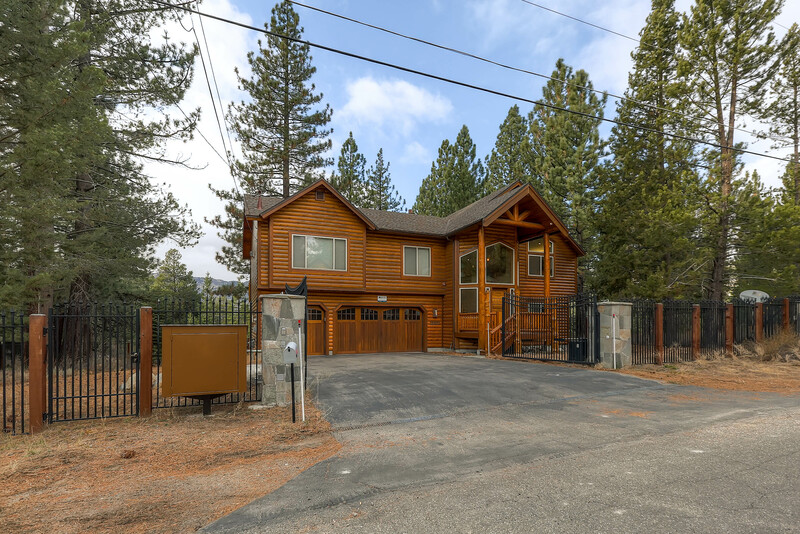 This home was absolutely designed for gracious Tahoe living with four large bedrooms, a huge living area, and loft for fun and games. A completely comfortable home that allows sleeping and dining for up to 12 adults and children (8 maximum if single adults). The fantastic location of this house makes it the perfect place for families who like to get out as well. Centrally located just one mile to Heavenly or El Dorado Beach, the entire family will love the proximity to local attractions and activities. And, just past the private hot tub is the gateway to Bijou Park, where you can enjoy both Winter and Summer activities. From Snow shoeing, cross country skiing, or just building a snow man, to relaxing walks, disc golf or the skate park. Every activity Tahoe has to offer is just a walk, ride, or short drive away. Visit RnR Vacation Rentals to book this home today! Last year we talked about the annual Polar Bear Plunge in South Lake Tahoe and we can’t believe it’s already that time again! This year the Tahoe Keys Association will be hosting their third annual Polar Bear Plunge to benefit, Christmas Cheer, a local food charity. Registration for this event begins at 10:30 AM and the plunge starts promptly at 12:00 pm. There is a requested cash donation of $25 per person to swim or sponsor a swimmer. Those who don’t want to brave the cold water can bring a donation of a nonperishable food item to the event to be a spectator. Viewers and brave, costumed plungers will be served warm drinks and appetizers. Prizes will be awarded for the best costumes and for categories such as the “first head under water.” Join the fun of the Polar Bear Plunge in the Keys this Sunday, February 15th, 2015. Take a dip or cheer on your crazy friends and family from the pier.